North London Mac Support specialise in Apple MacBook Liquid Spill Repair services including replacement keyboard, trackpad, Magsafe and Logic Board. Our North London spillage repair workshop is fully equipped to provide expert diagnostics and our team of liquid damage technicians are fully conversant in finding the cheapest solution to get your MacBook, MacBook Air or MacBook Pro functioning again. Your local Apple Store will not clean and dry out your Mac,.. we will! NLMS have been performing Apple MacBook Liquid Spill Repairs for over 15 years and offer almost 30 years experience in Mac support therefore you’ll find us both super-reliable and ultra-affordable. We provide specialist Apple help and Mac support for your MacBook, MacBook Air, MacBook Pro, Mac mini, iMac or Mac Pro and we always offer Mac users in London a 100% FREE DIAGNOSTIC INSPECTION which will determine the root cause of the problem and allow us to deliver the best solution. Before we look at replacing any parts we always run a series of tests on a Mac to see if we can clean up the liquid spillage from the internal compartment and fully dry the components out. Surprisingly this often works if performed by a professional with advanced know-how in this specific field or specialised Mac repairs. It’s worth knowing that certain liquids can cause more damage than others so the type and quantity of liquid often makes a difference to the full success of any repair. 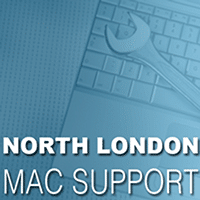 Get in touch with North London Mac Support today and we’ll do our best to restore your liquid damaged Mac to its former glory and save you £££ too!